Being a good parent doesn't mean being perfect, learning complex theories or finding another twelve hours in the day. 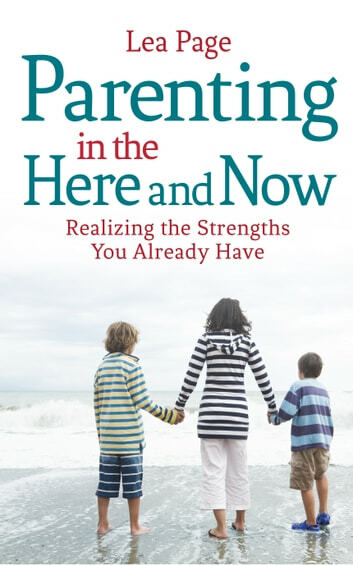 Parenting in the Here and Now offers a refreshingly different way. Rather than striving for -- and failing to reach -- a frustrating ideal, parents can start from where they are right now -- and enjoy a more harmonious family life almost immediately. Lea Page shows how to recognise emotions that get in the way, and how to stay calm rather than getting overwhelmed. Her practical parenting philosophy, born from many years of personal experience, observation and reflection, encourages parents to respond to children with action rather than words. Parenting in the Here and Now is filled with examples of how to manage parental challenges in the moment, from tantrums and whining to lying and disrespect. Parents will appreciate the new confidence and calm authority this book -- a true companion -- gives them.